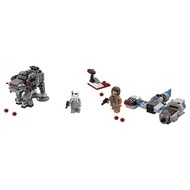 - Includes 2 minifigures: a Resistance Speeder Pilot and a First Order Walker Driver. 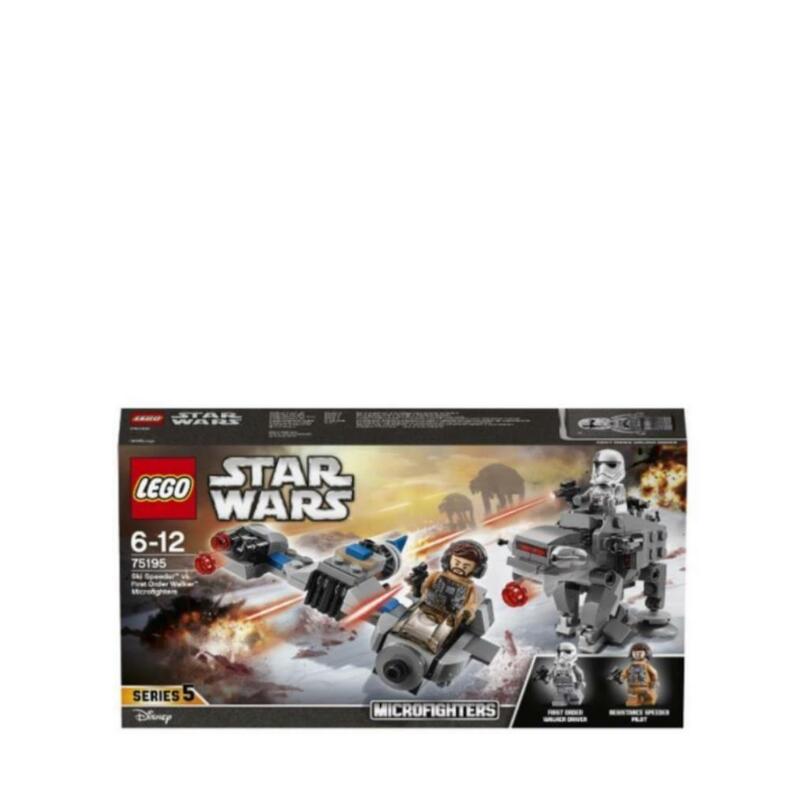 - Features a Resistance Ski Speeder and First Order Heavy Assault Walker, each with lots of authentic details, 2 stud shooters and a seat on top for a minifigure to sit. - Weapons include 2 blaster pistols. - Share the building experience with friends and family. - Recreate your own exciting scenes from the blockbuster Star Wars: The Last Jedi movie. - Resistance Ski Speeder measures over 1” (3cm) high, 3” (10cm) long and 4” (11cm) wide. - First Order Heavy Assault Walker measures over 2” (6cm) high, 3” (8cm) long and 1” (5cm) wide.